Mortgage Reputation is an online reputation management and marketing agency for the mortgage industry. We help mortgage brokers, brokerages, and lenders, grow brand awareness and create a strong reputation that home buyers choose. What is online reputation and why is it important for mortgage brokerages? Your reputation is all of the publicly available information that prospects and customers can find about you on the internet. More than just reviews or your website, it's anything and everything that shows up when someone types your business name, or personal name into a search engine. Each of these can influence whether or not a home buyer chooses to work with you. Having a hard time generating organic leads? It's probably because your not find able and have no visible online reputation. 90% of home buyers use the internet to make buying decisions. Having no online presence, or a bad reputation can cost a mortgage broker thousands of dollars in lost commissions each year. When a mortgage broker is referred, the first thing the referral will do is search for that broker online. Your online reputation will make the first impression with a potential buyer. If what they find is unsatisfactory, or negative, they will likely not contact you, they won't explore your website, and they won't complete an application. We make ourselves presentable when meeting clients, and we should do the same with our online data. It's important to have positive reviews and accurate information about your business easily accessible on Google Search. A powerful online reputation helps you build confidence and trust in your brand, and also makes it easier to convert home buyers into new customers. Mortgage Reputation provides mortgage brokers the software and services needed to dramatically improve inbound mortgage leads from digital channels. Build online review scores and authority, and increase the reputation of your mortgage business across the internet. Improve the top of mind awareness your mortgage services locally, and craft engaging content on the most important social channels. Make it easy new customers to find your business in search, and ensure you're listed accurately on the most important websites. Now that so many companies are turning to the world of online marketing to assist them in their endeavors, mortgage broker reputation management has become especially important. While those who are reliant on online marketing often enjoy the benefits involved, there a few important mortgage broker reputation management tips that need to be remembered. Even the best businesses will run into issues along the way and when these issues take place, it is important to know the ropes when it comes to mortgage broker reputation management. Let’s take a closer look at the following pointers, so that you can sidestep the usual pitfalls. There are numerous social media hubs to consider nowadays and the best companies that are able to properly manage their reputation pay close attention to their presence on all of them. One of the best ways to establish yourself a viable option in your chosen mortgage broker niche is by having Twitter and Facebook accounts that are always in use and updated regularly. Any period of inactivity could be catastrophic when it comes to your reputation management. It is not enough to simply have these accounts, you need to be actively working around the clock to build them in an outward direction. Be sure to post on a regular basis and interact with your potential clients, so that you can remain on an upward trajectory and avoid the difficulties that are associated with a long period of inactivity. While some mortgage brokerage firms will try to keep their bigger names under wraps, this leaves the door open for those who do not know anything about your company to defame them and establish themselves as the proper choice. The more information you provide about the names that are most important to your company, the easier it becomes to avoid situations like these. Allow your executives to have a strong social media presence and steer clear of these issues going forward. Blogging might seem an outdated method communication to some, but there are few better ways to establish yourself as a true authority and enjoy the myriad of benefits that are associated with top notch mortgage broker reputation management. It is also a great deal to boost your search engine optimization rankings and ensure that potential local clients are able to find your services during the moments when they need them most. Having a high organic search engine ranking is half of the battle. Trolling is a very real aspect of establishing a modernized business presence and even the most well adjusted and mature brokerage firms find themselves getting sucked into the most disadvantageous online arguments. Guess what: you might be technically correct, but when it comes to establishing yourself as a trusted authority? There are no real winners as far as online arguments are concerned, only losers and your clients will not respect these sorts of tactics in most instances. Discover why mortgage brokers turn to us to grow their business. Scroll down to subscribe to your free Mortgage Reputation newsletter, and receive complete, detailed reports on how to improve your online brand presence. You’ll get hundreds of genuinely useful tips—not just for reputation, but also for marketing and web presence. Business listings, reviews, social media, reputation, SEO, content marketing, digital advertising...and more. [PDF] Contains advanced tips currently being used by the top local marketers. It's a 31-page guide filled with advice that'll help you boost your reputation and sales. [PDF] How to dominate social media marketing. It's a 3-page checklist that will help you develop a marketing plan and strategic purpose for you social posting. We'll treat your email address with the utmost respect and won't sell it, spam it, or rent it. We help mortgage professionals across North America, so get in touch! Email us at info@mortgagereputation.com, complete the form below, or call our office. Our friendly staff will evaluate how we can best help you. Contact us at the following address—or complete the form above. Our advanced software and services can do the heavy lifting for you. No matter how great of a mortgage broker you are, when your business is referred to someone by a friend the first thing the referral will do is search for your name on Google. What that person finds about you, and how good your reputation is, will determine whether that person will contact you. Do you know what your customers are saying about you? Where are they saying it? And whether or not these conversations are impacting your brand? Research shows 57% of all consumers would use a business with a 3-star rating, but 94% would use a business with a 4-star rating. That means, a 1-star improvement to your online reviews can increase your chances of getting a new customer by 37%! As you can see, reviews have a tremendous impact on your reputation, and consequently your revenue. Yet, many brokers and brokerages still have not solved the review & reputation marketing puzzle. The mortgage industry as a whole is behind the eight ball on reputation marketing. That's because there are SO many different review sources (search, social, directory, and review specific) to monitor and respond to feedback on. 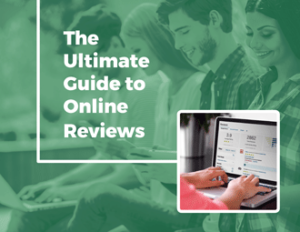 Most don't have the time, expertise, or know-how to audit, manage and grow their reviews on the right sources. ​That's where we come in! Mortgage Reputation offers a full service solution for monitoring, protecting, and growing your online reputation and review scores. We use advanced software to scan the web for anything being said about you on the internet. We know, 1 missed opportunity could cost you thousands of dollars in commissions. So, we strive to prevent that from ever happening. In fact, we guarantee your first online impression with customers will be a great one. We build and solidify your online reputation so that one negative review, or bad comment, cannot do any damage. Our team of professionals crafts custom responses to ALL incoming positive or negative reviews in real-time. We get approval from you on negative reviews to make sure our response is appropriate. Responses are done by native english speaking, university level writers in our Canada office. A good reputation is made up of positive digital assets that influence and last forever. Let us build you a sterling reputation and an impenetrable wall of 5-star ratings. After 8 weeks, you must be delighted with what we've achieved, or we'll give you all your money back. Don't worry. We'll analyze your online reputation and recommend whichever techniques will have the greatest, quickest impact. We can become your "reputation consultant". We provide you online reputation monitoring software, and consult with you on how to do the work. Alternatively, we can do all the work for you—even management and marketing. 2. We'll analyze your online brand presence to identify whether we're a good fit for each other. We do this because whenever we take on a new client, we take on all the financial risk. By the eight-week mark, you must be confident that we're on track to get you amazing results (if we haven't done so already), or we'll give you a full prompt refund of 100% of the fees you have paid us—no questions, no conditions, no small print. What Does A Mortgage Broker Reputation Management Company Do? The concept of a mortgage broker reputation management company might seem silly to some and for others, the concept could come across as being completely foreign. That's why it is important to learn more about the things that a mortgage broker reputation management company can do to assist your business and help them grow. For starters, a mortgage broker reputation management company will help you to learn more about the importance of customer reviews and how they are the lifeblood that makes or breaks your business' level of success. Let's take a closer look at some of the functions that a company of this nature provides. Sure, you might be under the false impression that you can assess your mortgage brokerage company on your own. However, those who have experience in this industry can tell you about the importance of an honest assessment that comes from an outside observers who has zero stake in your company. No company truly possesses the ability to conduct an honest self assessment and should never pretend that they do. Thanks to the help of a reputation management company, you no longer have to. They know how important it is to project an image that is attractive to the clients and they have the objectivity that you need in your corner at all times. Their consultants have the experience necessary to walk you through the process of self assessment and help you make crucial changes. We all know how important reviews are and while even the most inexperienced companies are well aware of how reviews can affect their prospect, you still need access to a mortgage broker reputation management company that can keep you from garnering the negative reviews that will sink your prospects and teach you how to receive the positive reviews that lead to great word of mouth. Think of it this way: a reputation management company serves as your liaison to the rest of the world and lets you know what they really think. The more you know about what everyone else truly thinks of you, the easier it is to develop a plan that is designed to provide you with the reviews that you need to establish yourself as a true authority. No matter how well run your business may be and no matter how many clients you assist when it comes to matters involving mortgage brokering, you are still going to have moments when negative feedback rears its ugly head and causes you a great deal of stress and anxiety. Even a top company suffers from the occasional moment of bad press. That's why you need a mortgage broker reputation management company that can deliver in the clutch and keep your negative feedback from drowning out all of the positive acclaim that you are used to receiving. When negative feedback takes place, these companies are here to help and they can spring into action at a moment's notice. This keeps you from losing prospective clients and helps you to maintain your relationships with the ones you have. Looking to get noticed online? LocalBusinessAlly can help you get Google reviews that will impress your visitors and build your brand effortlessly. Your Google reviews may be the only thing standing between your visitors and their decision to buy from you. Give them a great first impression- start your free trial on LocalBusinessAlly. Are you searching for a professional aerial photographer in Alberta? Consider Kader Media for hi-resolution drone photography and video for your marketing purposes. Whether your project is simple or complex, Kader Media has options available to positively impact your marketing campaign. Find out more when you call 780-834-8596.